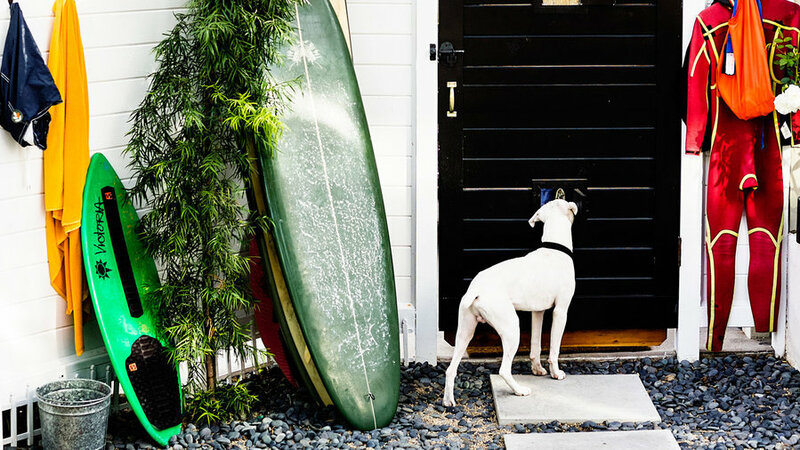 Let your water sports gear linger in the entryway, serving double duty as decor. Beach style rule of thumb: Keep it light and natural. Choose natural materials (and keep natural elements like this wood pile in view) and white paint as needed. Accent with colors and patterns reminiscent of the coast. 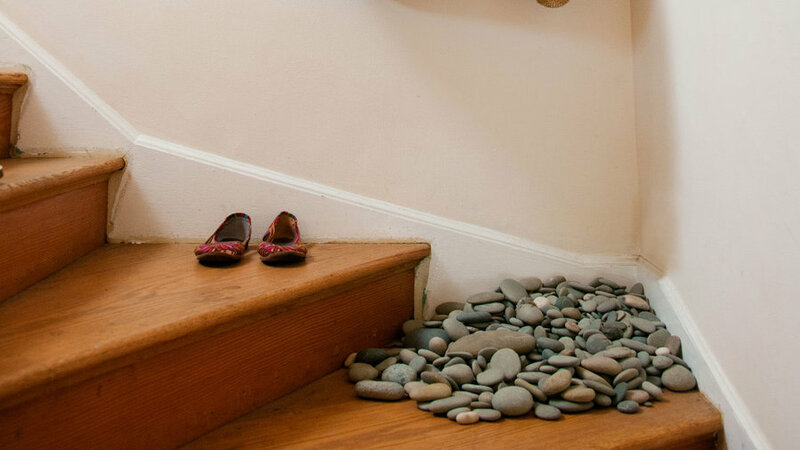 Cluster and style your beach collections (rocks, driftwood, even beach bags) so they serve as ocean-inspired decoration at home. 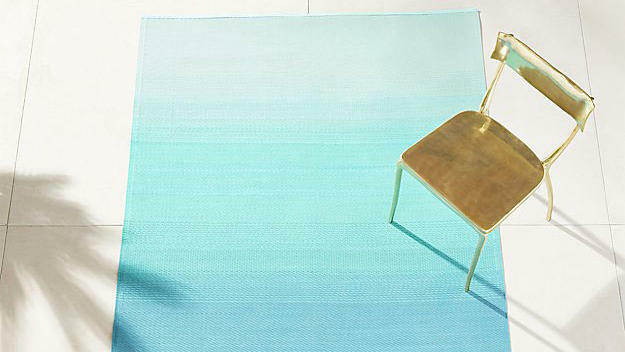 Get that beachfront feel with shades-of-blue textiles like this ombre rug. 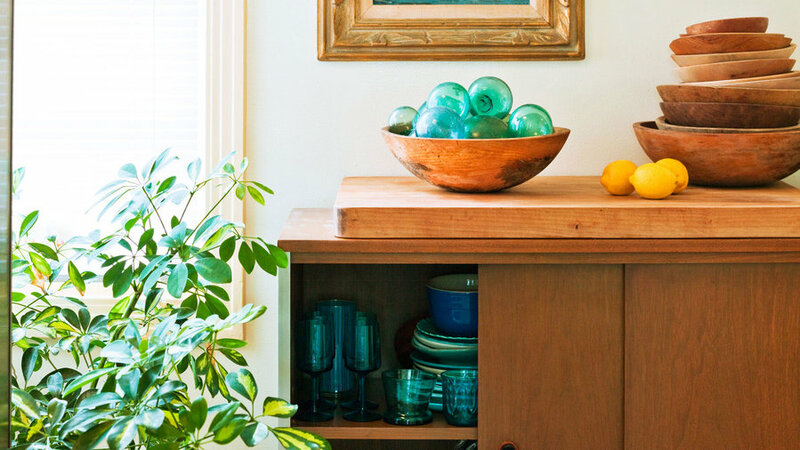 Like a collection of tumbled glass you've accumulated from beach walks, collect blue glasswares (cups, bowls, vases) from vintage shops. In this vignette, the glass net floats were found by the tenant's grandfather in the 1940s near Fort Bragg, CA. 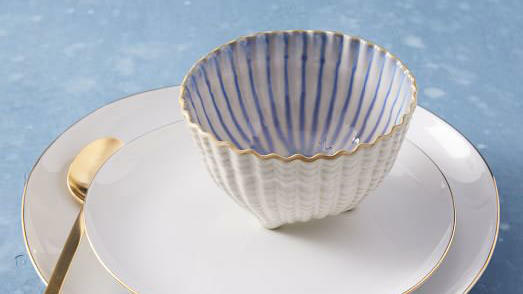 Bring the ocean to your place setting with coast-themed accents like this stoneware bowl in the shape of a seashell. Whether you're home is on the waterfront or not, opening the windows for fresh air and natural light is reminiscent of a sunny seaside locale (and promotes sweet dreams). Closets too small? 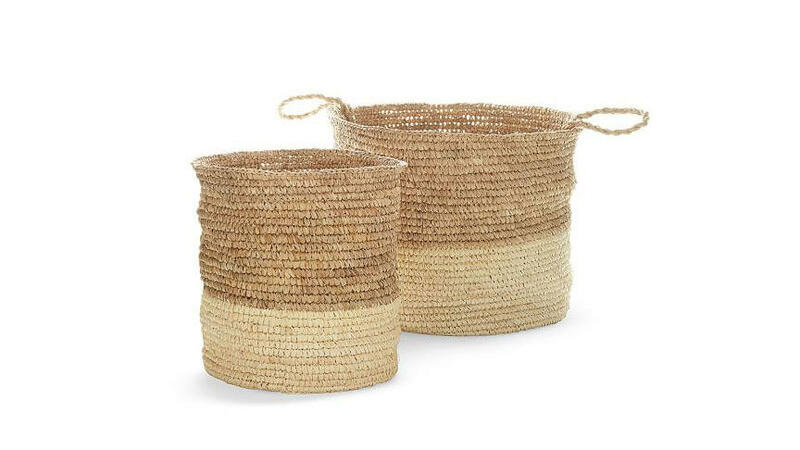 Choose storage boxes and totes with natural woven materials, like these sisal and rattan beauties. Whether you're beachfront or landlocked, create a bright, comfortable outdoor living space by keeping the palette light, the seating low, and the company casual. Extra sunglasses (and maybe some sunblock) help too. 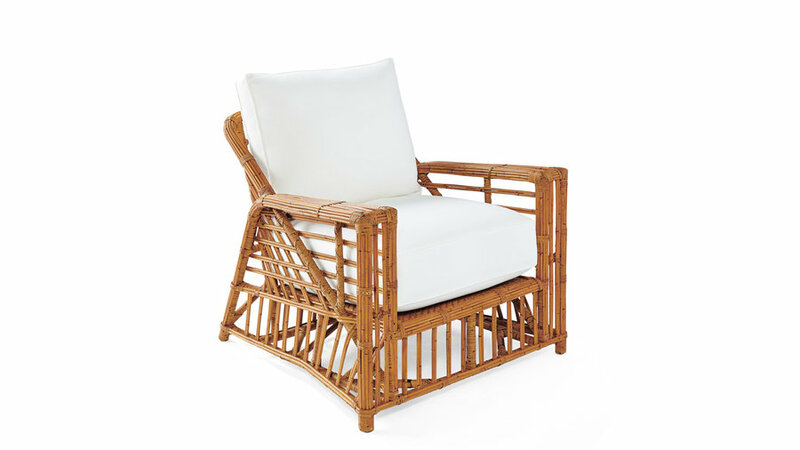 Nothing says vacation-at-home like a handwoven rattan chair with roomy proportions. 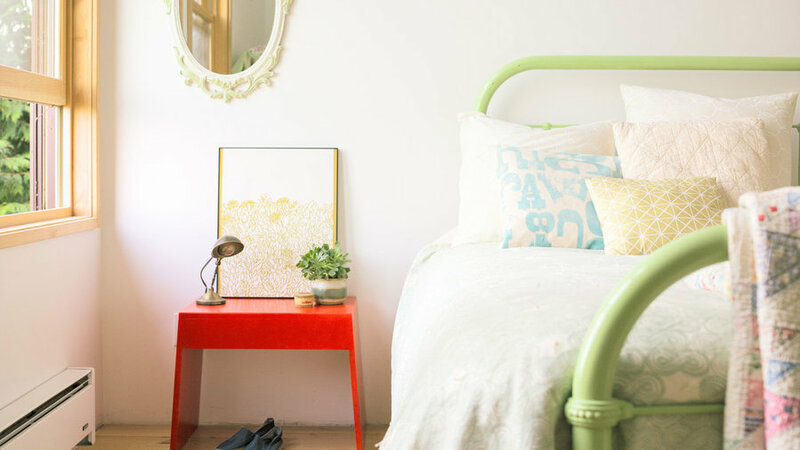 Make your space feel like Hawaii any day of the week.